10, 000 Litre tank with solar panels was situated on a hillside close to the school for better gravity feed. Standpipes were in the perimeter of the schools.This Well will ensure clean, safe drinking water for 668 children and a local community of 8000. In addition a pipe was laid between the schools and a local dispensary which was in the process of being built. Further standpipes were installed here so when the dispensary is open the patients can benefit from the clean water. 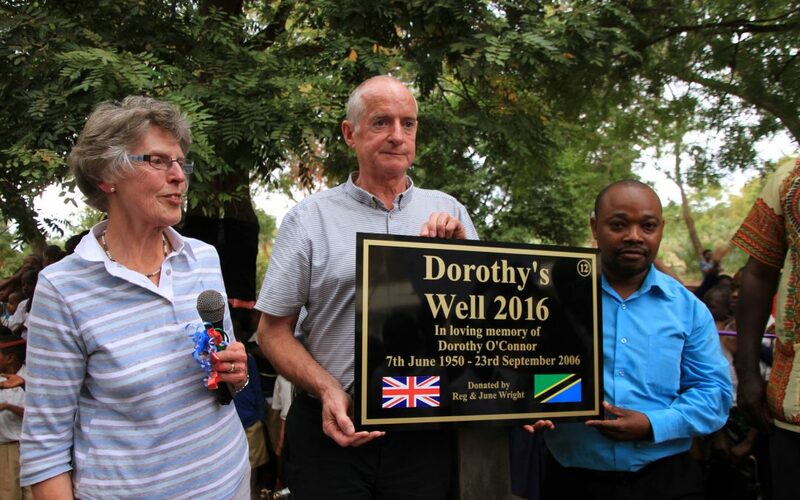 Whenever we visit schools to open the Wells we take with us a minimum of pens, pencils and beanie hats, In addition we have also taken frisbees, loom bands, toothbrushes and toothpaste, party bubbles, footballs, football strips and beach balls. These items are donated by the committee and also from many other sources. 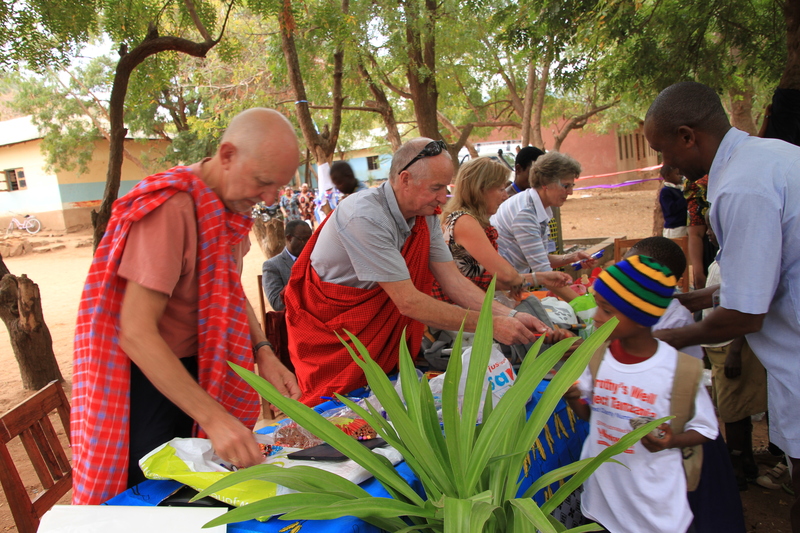 The beanie hats are knit in Tanzanian national colours and are a firm favourite of the children. We have been lucky enough to have the support of many Knitting groups who supply us with these.